First of all, I’d like to say a huge thank you to you for another fantastic year. As 2017 comes to an end, I’d like to take this opportunity to share some special community highlights with you. 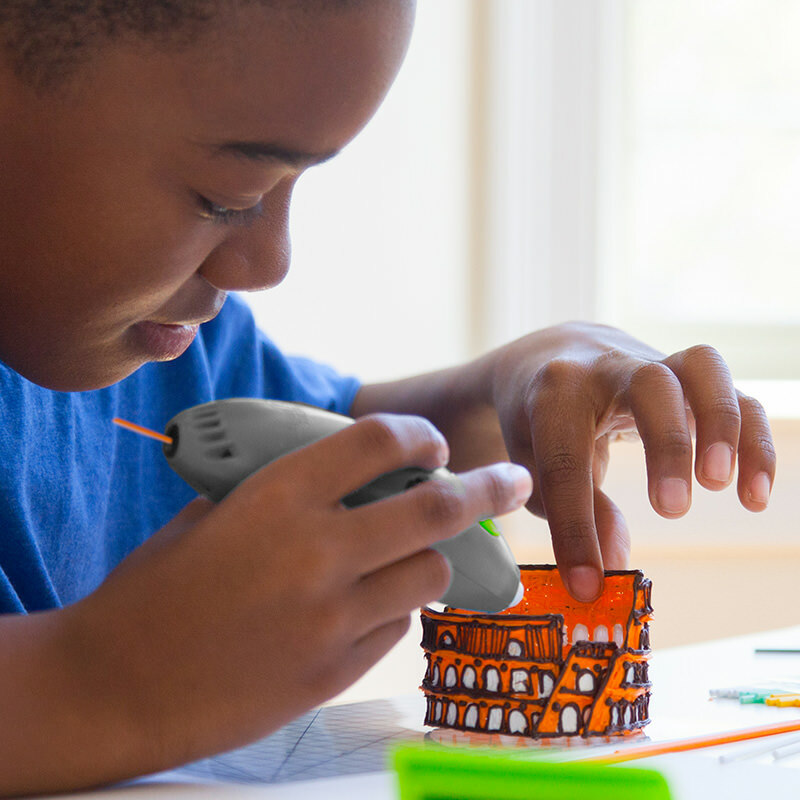 3Doodler strives to be a company that inspires and enables you to make. Our products and activities reflect our ongoing commitment to our community of innovative Doodlers, talented artists, and last but not least, inspirational teachers and students. I hope these examples will place the spotlight on some very meaningful charities and talented individuals, and bring awareness to the difference they are making every day. Ever since we launched our first pen in 2013, we’ve received interest from members of the blind and low vision community, including teachers and students, all envisioning ways to use 3Doodler pens to create instant tactile graphics they can touch and feel. 2017 saw a breakthrough in this area, which we hope paves the way for blind and low vision users to create in entirely new ways. Partnering with RNIB, UK’s leading charity supporting blind and partially sighted people, we adapted the 3Doodler Start with new features to make it easier for people with sight loss to use. These features include tactile markings on the pen itself, and audio instructions on our website, all aimed at helping users get started and orient the pen for 3D drawing. From Nov ‘16 to Feb ‘17, we partnered with DonorsChoose.org to help teachers make creative tech a reality for their classrooms. The US based non-profit organization enables donations directly to public school classroom projects. As part of our commitment to this,3Doodler matched each donation to classroom projects requesting a 3Doodler EDU Bundle. In 2016, 283 projects were fully funded, raising a total of $200K. One year later, in Nov 2017, we launched a second campaign. At the time of writing this article, we’ve raised $65,263 and counting. We also allocated extra funds for special education teachers, and the response has been phenomenal. The message is clear: making our products easy to access for all types of learners will be one of our main focuses as we enter 2018. Watch this space! In 2017, there has been no shortage of creative talent. We’ve discovered, and been approached by, professional sculptors, fashion designers, art teachers, jewellery designers, as well as countless creators from different backgrounds, who all use the 3Doodler in ways we never imagined. Sometimes creators need a little boost to shoot for their particular moon. We’ve offered feedback and advice to those who have asked, sponsored and encouraged artists to hold their first ever exhibition, and supported creators with 115 pens and 11,560 strands of plastic… In return, we’ve seen creations that made our jaws drop and our eyes ogle. ROI = priceless. These moments and collaborations give us the inspiration we need to do our best every day. Play forms a huge and integral part of a child’s growth. We are a strong believer of Toy Industry Foundation’s mission to provide joy and comfort to children in need through the experience of toys and play. The Foundation makes play possible for families struggling in poverty, military families, kids undergoing cancer treatments, children with special needs, and many more. We donated to the charity to help bring even more smiles and laughter to the lives of some very special kids. With these efforts (and many more to come), 3Doodler is helping build a more innovative and caring world; supporting kids and adults who dare to imagine and create. Team Favourites: Best Doodles of the Year!